BSC’s process automation and document management systems streamline the collection, validation and management of your critical records. Every school district, big or small, private or public, spends a lot of time working with various documents and files – whether dealing with internal personnel processes or managing student services. With each of these school districts comes the constant searching of ways to gain efficiency, improve accuracy, and cut costs to ultimately provide exceptional services to the students and families within their community all while withholding a budget. Process automation and document management allow streamlining and processing of personnel or student information by automatically extracting key elements such as: name, date of birth, address, student or employee number, appropriately filing documentation, routing approvals to appropriate staff, and storing in a central, secure repository for quick retrieval. BSC helps standardize processes for your district, while simultaneously creating a translucent workflow that helps you maintain compliance standards for funding and establish robust disaster recovery capabilities. The instinctive process automation dashboard populates useful analytics and notifies faculty of action items, so challenges like pending or late approvals can be improved upon, and districts can remain alert and compliant. Standardized processes mean quicker turnaround times for student services, and less faculty time wasted on less strategic tasks. Faster service times because the system ensures that district staff is organized and alerted to any upcoming approvals or outstanding duties. Faculty can respond to questions faster through immediate access to documents or student records. Secure document storage (available in the cloud or on-premises) means that student and faculty’s personal data is less likely to be lost, have unauthorized access, or be destroyed by a disaster – and you’re automatically acquiescent with state mandates. Digital record storage means reduced time and materials needed to maintain paper records, chase down and process approvals, allocate resources, or address other tasks. Seamless integration with existing SIS and ERP systems with hardly any training needed, to improve overall district effectiveness and eliminate inaccuracies due to human error. Colleges and universities around the country use ECM solutions to manage everything from enrollment services, student health and housing processes to grant management, contracts, and back-office operations. Even as students’ expectations increase from their college experiences, most institutions are struggling with budgets and staffing. Document and process automation helps colleges and universities attract and retain students by reducing expenses and increasing productivity in the business office while improving student-facing services. Document and workflow automation applications could improve the operation of any organization, big or small, public or private, by connecting users with the information they need to work efficiently and effectively. Automating the flow of work in the cloud, connecting people through technology and bringing visibility to all aspects of the organization are all reasons why digitizing application processes are so beneficial. BSC offers products that helps teams run their operations smoothly and gives them the ability to adapt to change quickly and achieve the highest success. Each product is built with a specific need in mind. We want to help you help the students. We can help you make them your number one priority as it should be. Spending all that time on application processing is not increasing productivity within your facility so we want to help eliminate that process as much as possible. 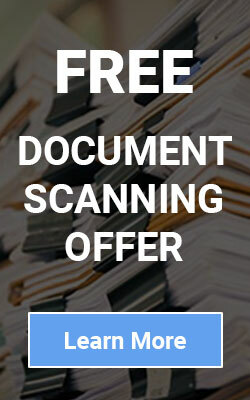 documents are classified the way you want them and are available at your fingertips. BSC also offers mobile support and this process allows students, faculty, and administration to interact using virtually any device, including apps for Android and iOS. Everything can be linked together, and you can have 24/7 access to your records and important data.